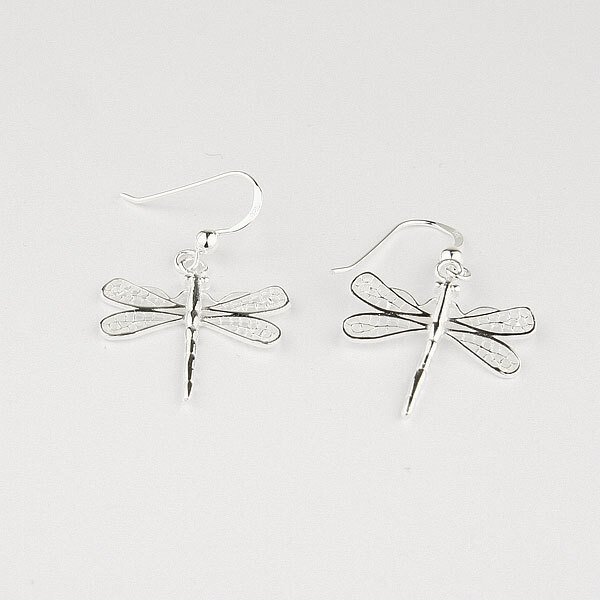 These delicate silver earrings are filigreed in the shape of dragonflies. Width of earrings: 22mm. Height: 37mm.